Before proceeding on the methodology of the construction of a payroll for a company, it’s necessary to have the basic idea of the same. Payroll is the process in which any employer pays the salary to the employee for his/her labor. The management of payrolls can prove to be quite a burden for companies since it includes the consideration of major decisions and things like keeping a note of the deadline, proper filing of taxes, abiding by the laws and regulations for this purpose etc. Any error on this part might put the company’s reputation at stake or prove to be hazardous in the long run. Serious mistakes can even lead to imprisonments. Besides the amount of wage payable to the employees, payroll also includes bonuses and withheld taxes. Depending on the size and budget of the company, the natures of payrolls are generally decided upon. Some companies prefer to have payroll system which are software developed to serve the purpose. While in large firms or even government sectors, there exists a payroll department to handle this massive task. In the case of small companies, they hire a professional to take care of the payroll. These are software specially designed to maintain the payment information, working hours of employees, their leaves and absence, withheld taxes or other deductions, printing of paychecks and timely payment of employment taxes to the government. This system updates itself automatically whenever there are any possible changes in the laws regarding taxes. Employers hardly need to stress over the task of payrolls since the software takes care of it all. The only thing they need to do is to input all the needed data into the system to avoid any delay. Also, the system software reminds the employer to file any tax forms, thus proving worthy and faithful. How to do Payroll for Small Business? If you own a small business, hiring a professional to manage the payroll of your company can prominently prove to be cost effective for you. And payroll system softwares are the best available within your budget. This would eliminate any error that even a professional can commit. Whereas computerized systems are entirely trustworthy in this regard. Also for small business owners, it is necessary to keep a more firm control and close check on the finance part of his firm, which he can easily do with these innovative softwares. Even if the after work of maintaining a payroll system comes easy and satisfying, the very task of selecting upon a particular payroll can be difficult. Here’s a list of the key features to keep in mind while choosing. 1. There are two available categories in payment system softwares – online and desktop softwares. Online payroll software makes you access your company’s payroll whenever you wish and from whichever device, be it at your office or home. All you need is a quick and smooth internet connection for the activity. Also known as cloud payroll software, this has an advantage over desktop softwares, i.e. even if your device crashes, the entire data would be safely stored in the cloud which you can access later. However, one disadvantage with these online softwares is that – you need to pay a subscription at an interval, monthly or after a time period. 2. Desktop softwares require a onetime download and then it needs no further regular subscription fee or internet connection to run. You just need to pay the initial money for downloading the software and then you can operate it all by yourself. And further money is only required at the time of updates. But, a drawback of such a payroll type is that – if your system crashes, you cannot help but loose all data. 3. Several payroll softwares offer a free trial for the benefit of their users. Try using one with such an offer since it will make you familiar with the user interface, the settings, and the programming and also help you decide whether you will want to make it permanent in the long run. 4. Select a software that has a comparatively user-friendly interface. Some payrolls may although apparently seem easy but require background information to function. Try avoiding any payroll software that will take up much of your time to learn to manage it and decrease your performance as an employer. And the software should be flexible enough so that it accustoms itself with the growth of your business. 5. If you own a small business, there’s no way you would be agreeing to pay huge for your payroll services. Therefore make sure to read through all the terms and conditions of your payroll system software beforehand. Do not overlook any hidden information about price and costing. Often times the providers do not reveal all their subscription details during the trial pack offer, therefore, don’t get lured by any cheap offers and commit a mistake. Keep in mind as not to overburden yourself with taking unnecessary features for your small firm, because the price of the payroll goes up with any added feature. Also, the payroll will charge you extra for additional employees. 6. Being a business man, your worst nightmare would be if the personal information of your employees would go public. Therefore, before you settle upon a payroll provider rethink about its security system. Ensure that all the data, personal information of the employees and the company details are safe by an encrypted security process that your provider offers you. 7. Business is all about making deals and contracts almost every day. However, eschew yourself from entering into a deal with your payroll provider as well. Look for any annual or time contract that a payroll provider refers to. In case it does, it’s always better to not choose it since you would not be able to change it if you are unsatisfied with its performance. 8. Before deciding upon particular payroll system software, be very sure about the exact features that you want for your business. Choose a provider that gets your task done by costing you the minimum. Otherwise, you would end up paying more for payrolls than necessary. For instance – if you want to pay your employees weekly, it’s important to remember than short pay periods would cost you more for running the payrolls. Again, if your employees are receiving supplementary wages from tips or bonus – you need a payroll provider for recording and calculating them separately from regular wages. Finally, if you pay your employees on the basis of their working hours, choose a provider where you can just input their working period and the rest of the payment calculation would be done by it. 9. Most importantly, the software should be from a trusted source. You would be depending upon the payroll software for your entire accounts of your employees. So, the authentication of it must be taken into serious consideration. The best for small business, Intuit Payroll offers you several plans to choose from with a detailed instruction about each one’s individual subscription. Handles the payroll taxes and provides you with a variety of features. For sole proprietors, this payroll provider is exceptionally good. Besides keeping a track record of regular employees, it also takes full responsibility for outside contractors. This cloud-based software gives you detailed payroll reports and is very user-friendly. Also, the customer service of Gusto is well praised. This one has been specially designed to keep track of household employees, such as – caretakers, cooks, drivers, gardeners, nannies etc. SurePayroll charges a minimum for a monthly subscription and eases out your burden. OnPay is apt for owners running very small businesses. It lets you run unlimited payrolls each month. The charges are marginally less. And the customer care representatives are also very cooperative. With a relatively larger business, owners prefer maintaining a separate payroll department to not overburden themselves with the system of paying their employees. Even the government sectors also follow the same process. Payroll departments are responsible for timely precise payment of the company’s employees. The personnel working in the payroll department need to have an exact timekeeping data of individual employees. Another record such as overtime is also taken into account and verified. A report is then made which is signed by the employee’s manager before paycheck process begins. How does paycheck process personnel work? A further verification is done as to whether all the correct data has been input for each of the employees. After that other kind of pay such as bonuses, back pay, commissions, expense reimbursements etc are all checked. Several compensations that the company provides, like – sick pay, holiday pay, vacations etc are confirmed. Then the deductions are made, which includes health insurance premiums, Medicare, provident fund, state taxes and other local taxes etc. After a final scrutiny, the respective paychecks are sent to the bank. All the data of each of the employees must be kept into account and managed without any slightest error by the personnel of the record keeping section. Any mistake can lead to underpay or overpay. As a consequence of which the company might have to suffer. There are times when the work of the HR and the payroll department intersect, such as both keep a close eye on the employee’s compensation, health and life insurance and others. They also check the employee’s days of vacation, sick leave, casual leave, holidays etc. In recent years, the duties of a payroll accountant have noticeably increased. The functions include – approval of payrolls, issuing employment benefits, controlling of the payroll accounts, and several others. A section of the payroll department also takes care of the fact that the relationship between the employer and its employees is healthy. This is essential for the progress of any company. A single certified payroll professional does all the work done by a payroll department but on a smaller scale. Since the workload is less due to a lesser number of employees, the company can easily afford to hire one head for the job. The task needs to keep a record of the personal details of the employees. And maintain a track record of their working hours, timely and accurate payment of the employees, checking upon employee benefits and other compensations etc. A constant updating is needed, regarding the employee vacations, leaves, absents, bonuses, commissions, and paycheck deductions. Payroll professionals keep a continual interaction with people from different strata, like – The CEO of the company, managers, supervisors, technicians, clerks and the general staff. This is a big responsibility and must be taken seriously. They often need to explain to the employee about the deductions made from his/her payment or the taxes levied etc. If you have just started a business and do not want to overburden yourself by taking every responsibility in your own hands, this is the most suited option for you. You can keep yourself busy with progressive business ideas and not get bothered by accurate employee payments. Being a professional, he/she would be handling the payroll system better than a novice businessman. However, before hiring any person for the task and trusting him/her with your company accounts make sure to judge their morale. They should be very regular and accountable with their duties; otherwise, it’s your company that will incur the losses. Computation and maintenance of payroll is definitely a huge task and should be taken seriously by any firm or company. The process should not be delayed and updated regularly for the growth and progress of the business; as well as the satisfaction of the employees. 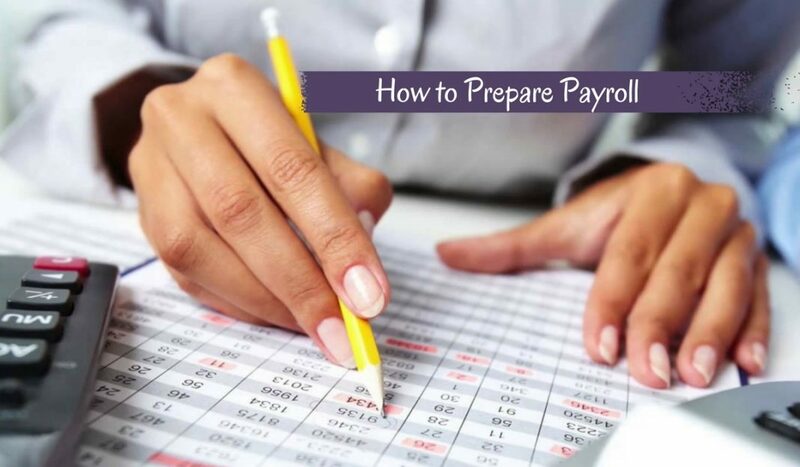 Now that you know all the basics, you can choose which payroll will be perfect for your business.